This is the first time I have ever reblogged a post, but do to the content that needs to be shared and contemplated by every American, I feel my readers will appreciate it. 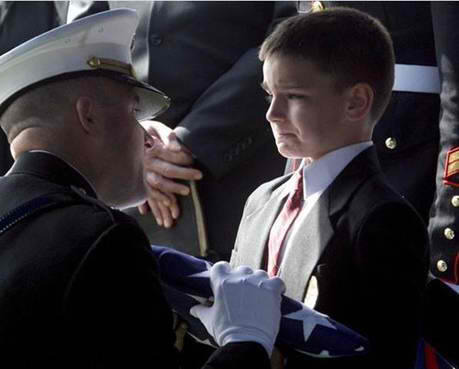 I have seen this picture before, but “Cowboy” is right; it sums up what Memorial Day is all about. Many of us have turned Memorial Day into a second Veterans Day, and while our veterans, reserves, and active duty military deserve our thoughts, prayers, respect and admiration, Memorial Day is to honor those who have passed on, never to be seen in this life again. H/T to my California pardner. Indeed, this Republic is not ours to give away. I’ve posted this picture before, but it really sums up what this day is about. The price of freedom is high, and the memory of those who gave so much should always be honored. No one can replace those lost, but we can honor them with our vigilance to defend with equal devotion this Republic we call home. It isn’t our’s to give away. Congratulations…your first time to reblog a post . There is a first time for everything. Maybe there are other opinions and comments besides your own. It was a good one to start with, and you said you have posted that pic before. The essence of it all was one could see that little boys lower jaw trembling if you been there. So it is with parents too, trembling jaw with the lost of a child way before their time. The “about you” tells you all your accomplishments family wise, have you had the trembling jaw yet? Just asking since you don’t seem to care for than your own outlook. Again, dismiss above. Still getting a handle on where you’re coming from. If you were not open to other opinion, you would not have comment section. Some others do not. Will be anxious to continue reading this site by you. It is good to express gratitude to our veterans and military, but Memorial Day isn’t for that. It is for remembering those who cannot be thanked, the ones who never made it home. Expressions of gratitude should be extended to the ones who loved them most, the ones who feel the loss deepest. To the parents, the spouses, the children, and those who loved and served with our fallen. To them I extend my deepest sympathy and gratitude this Memorial Day and always.